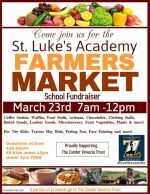 St. Luke's Academy presents its Farmers' Market School Fundraiser. 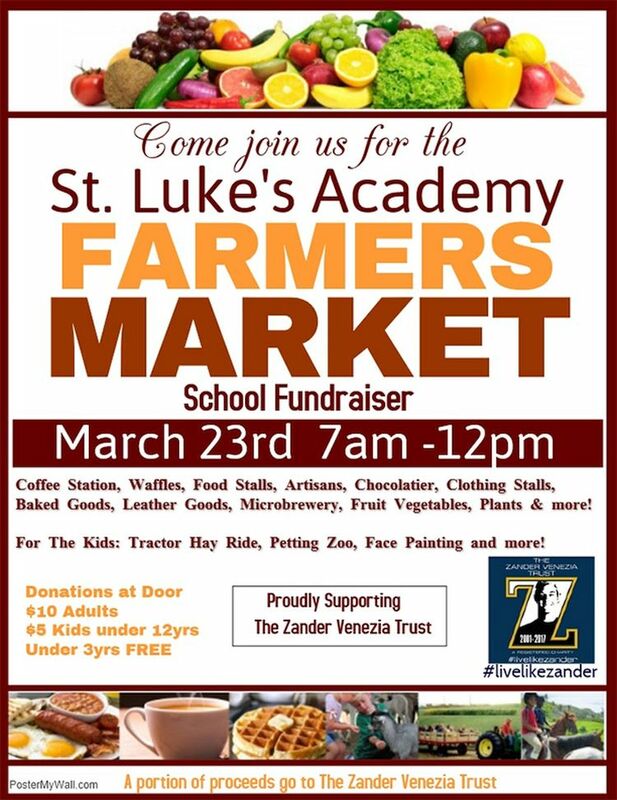 Come out and support local farmers and artisans creators of art, jewelry and craft items. All charities, trusts and clubs are welcome to set up a stall without charge. A portion of proceeds will go towards The Zander Venezia Trust. For more information, call the Academy at 422-0607.